Kansas Child magazine is intended to provide a forum for the discussion of child care and early education issues and ideas. We hope to provoke thoughtful discussions within the field and to help those outside the field gain a better understanding of priorities and concerns. The views expressed by the authors are not necessarily those of Child Care Aware® of Kansas or their sponsors. 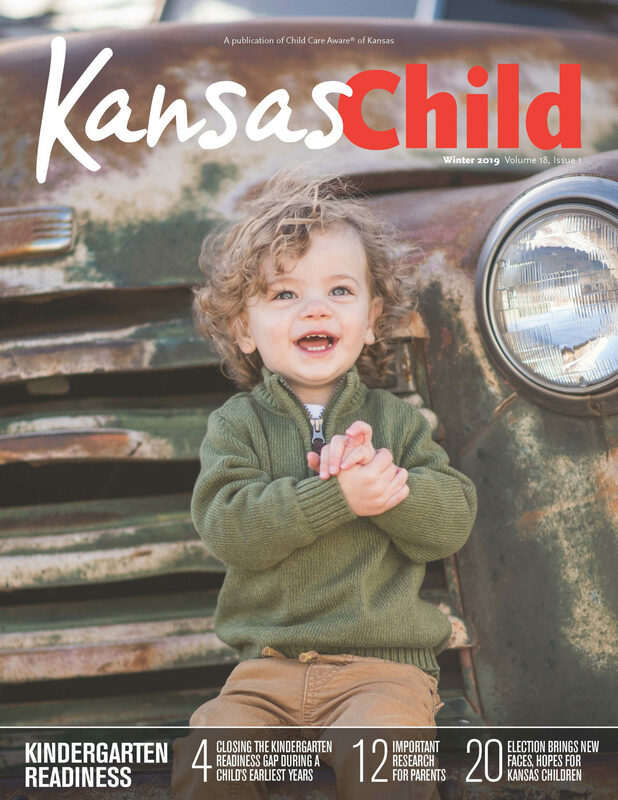 Want to start receiving Kansas Child magazine? 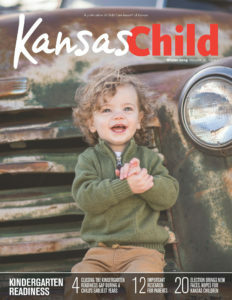 As a subscriber, you will receive 4 issues of Kansas Child for only $15. That means you’ll have access to valuable information, helpful tips, and interesting reads. Whether you are a child care provider, parent, teacher or community member, there is something for everyone to be found in Kansas Child! You’ll soon discover why Kansas Child magazine is Kansas favorite resource for information on young children! You can purchase your subscription through PayPal. 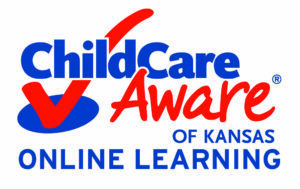 Click here Pay Now to get start your Kansas Child subscription. Click here to print a subscription form. Bulk subscriptions are available at a discounted rate for businesses and organizations. For more information, email us today! Want to advertise your business or organization in Kansas Child magazine? Click here to print an advertising rates form. Information and data contained in past issues was accurate at the time of printing.